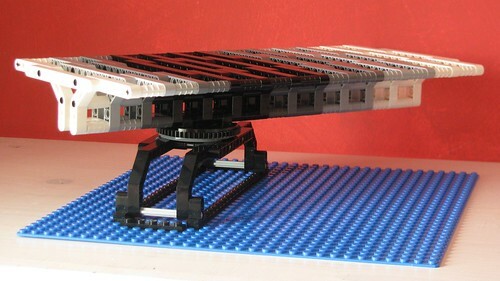 I built this bridge for the Technic Challenge over on Lego.com. Turns out I quite like building bridges; I've built four in two weeks! This one I thought wasn't good enough to enter so I'm posting it now. I'll post my other designs here later. Is anyone else here entering this competition?